We are specialist exchange for Fiat-Crypto in the Southeast Asia region. 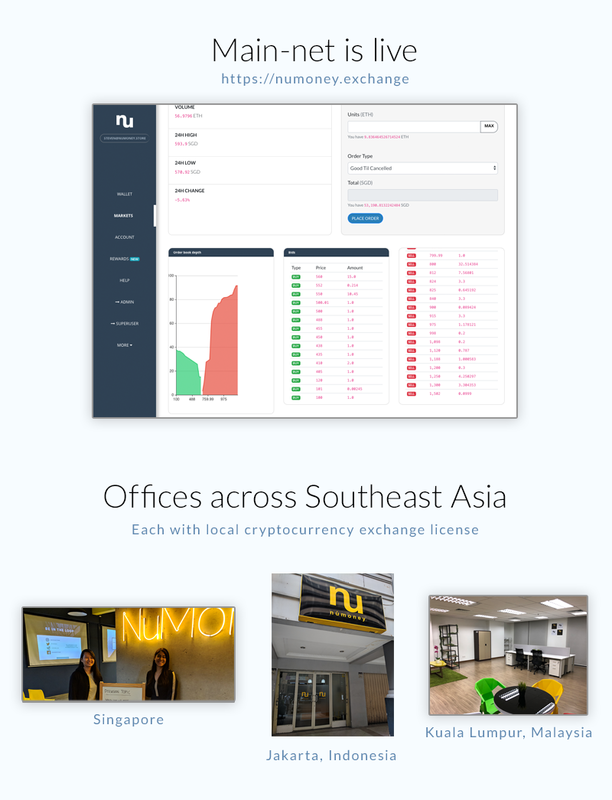 When you purchase NMX, you are supporting a project that is live, and a team distributed across 3 physical offices in Singapore, Malaysia and Indonesia. We are expanding into Philippines and India next. 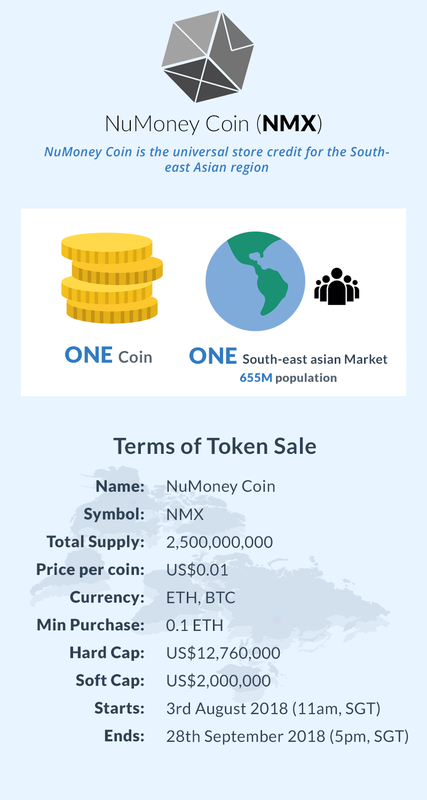 Our users across Southeast Asia will use NuMoney Coin, which can be purchased with fiat, to purchase or sell cryptocurrencies. So instead of SGD, or MYR, or IDR, we are merging liquidity of the entire Southeast Asia region under a single currency - NMX.